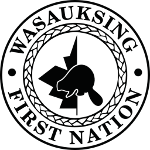 Watch live coverage of the Robinson Huron Treaty Gathering. Day 1: Chiefs welcome speeches, Little Spirit Singers, Youth Panel, Law firm update, Terry Debassige. WFN Employment Opportunities -Click the links below.